Chris Christopher is one of Northern California’s underground hip hop artists who is seeking to disrupt whats going on in the cannabis and music worlds through sheer passion. Being homegrown into Northern California’s world renown cannabis industry has given Chris Christopher a birds eye view on the evolving cannabis culture, and his reputation and credibility is evolving to a status where he is showing alarming potential at growing his brand into a respected one, thats all off releasing his first debut album THC. With Chris Christopher’s “THC” the album, the music will hold weight over time, with all the production handled by Mob Figaz super producer RobLo, the album hits home to California’s local weed and music scenes, and is celebrated with an all star cast of some of the most beloved and respected California artists in the industry. Not to mention being presented by one of the Bay Area’s most respected producers, Rob Lo. 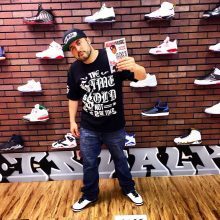 On the album there is a dope video shot for the single “Fast Lane” featuring Joe Blow and Rob Lo, don’t sleep on it. Along with that, our most stand out song is the motivational track “Big Business” starring Rob Lo. Nothing but a deep visual behind the lyrics, and surely a music video needs to be on the way! Overall the album is a well crafted smokers masterpiece, and to us is now considered a Bay Area classic album. Something to be proud of if your truly a “Homegrown Californian”. 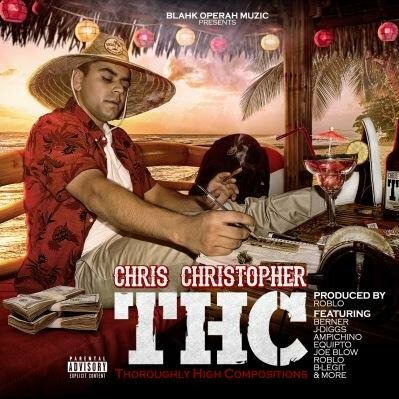 Chris Christopher’s “THC: Thoroughly High Compositions” features Berner, B-Legit, J-Diggs, Equipto, Michael Marshall, Ampichino & many more! Give it a listen!